Nikon has just announced a replacement to the D600 in the way of a D610. Does this mean that Nikon knows there was a major issue with the D600 and they had to replace it so soon? The answer to that is maybe, we know they have put out a press release in the past stating they will repair anyones D600 that has issues. But they fell short in saying that yes this will fix the issues that the D600 had. So what has changed form the 600 to the 610 you may ask? Honestly nothing majorly important. It is still the same sensor and focusing system though it now does shoot a half of a second faster at 6fps vs 5fps. To quote Nikon “this is an evolution of the D600”. I guess you could call it that if you would like. If you already have a D600 there is nothing to worry about, this camera is not for you. I really liked the D600 when I did a review on it and can only imagine that the D610 will do exactly the same thing as its predecessor. This camera is for anyone who is looking to jump into the full frame realm. The D610 is now priced just under $2,000 and is a fantastic purchase at that price. Please don’t forget that once you go full frame you really need to focus on using better glass to take advantage of the full frame sensor. For a review of the Nikon D600 which pretty much is the same as the D610 please watch the video below. MELVILLE, NY (October 8, 2013) – Nikon Inc. today announced the Nikon D610, the latest FX-format HD-SLR to incorporate cutting-edge features and superior operability to help photographers create amazing images and Full HD video. Engineered for those enthusiasts who focus on the color, sharpness and clarity of their images, the D610 provides enhanced performance and image quality improvements, coupled with Nikon core technologies, all in a lightweight form factor. With image quality rivaled only by the 36.3 megapixel Nikon D800, the D610 is an attractive option for those willing to step up to FX-format. Inside and out, the Nikon D610 is dynamically engineered to deliver the outstanding balance of image quality, performance and operability that only a full-frame camera can offer. The large 24.3-megapixel FX-format (35.9 x 24mm) CMOS sensor is capable of creating low-noise images with amazing dynamic range, clarity and precise color, even in challenging light. No matter the type of photography, from landscapes to wildlife, portraits to sports, the Nikon D610 excels, delivering stellar sharpness, superior handling, and the ability to enjoy the full resolution benefits of a wide variety of NIKKOR glass. Image quality and performance are further bolstered with the aid of Nikon’s EXPEED 3 image processing engine, which helps to provide vivid colors and an exceptionally broad tonal range while quickly processing image data transfer from capture to card. Additionally, EXPEED 3 contributes to surprising energy efficiency for all-day shooting. Whether capturing an awe-inspiring vista at the golden hour, or portraits that absolutely have to flatter, the swift response and advanced feature set will appeal to a wide range of users. From Nikon core technologies to thoughtfully laid-out controls, the robust and innovative feature set of this D-SLR will satisfy even the most demanding enthusiast. Low-Light Performance: A wide ISO range helps the user master any lighting challenge. From a clean ISO 100 to a versatile 6,400 (25,600, Hi-2), the D610 provides minimal noise and maximum confidence. 39-Point AF System and Scene Recognition System: Users can select single point, continuous, dynamic or 3D autofocus modes to adapt to any shooting situation from static subjects to dynamic athletics. The Nikon D610’s 39-point AF system quickly acquires focus throughout the frame, even on fast moving subjects. For further accuracy, the system uses Nikon’s exclusive 3D Color Matrix Metering II 2016 pixel RGB Sensor in conjunction with the Scene Recognition System to analyze the scene and adjust exposure, white balance and focus. The resulting images display a more balanced exposure, precise sharpness and accurate color. Furthermore, the D610 utilizes nine cross-type sensors, seven of which retain AF ability up to f/8, a true boon to wildlife and sports photographers who rely on teleconverters for maximum distance. New Improved Automatic White Balance (AWB): With an updated AWB algorithm, users can capture more vivid skies, and more natural-appearing reproduction of artificial light than ever before. Additionally, more natural skin tones can be captured, rendering faces with a more three-dimensional appearance. 100% Frame Coverage and 3.2-inch High Resolution LCD: Shoot all day comfortably and compose easily through the wide and bright optical viewfinder, which offers 100% frame coverage. Additionally, the high-resolution 921K dot, 3.2-inch LCD screen is viewable from a wide variety of angles making it easy to compose, review and share. Unleash Creativity with Advanced Modes: With a wide variety of creative modes designed for enthusiasts, users can continue to express themselves in new, creative ways. A series of images with multiple exposures can be combined with built-in HDR, while users can explore their inner artist with an automatic Time Lapse Mode, or the intervalometer found in all advanced Nikon D-SLR’s. To adjust color, saturation and other image parameters on the fly, Picture Controls can be applied to both stills and HD video. Dual SD Memory Card Slots: The Nikon D610 accepts two SD memory cards, which users can set to copy and overflow, or mark as one dedicated video when shooting multimedia. Additionally, the D610 accepts blazing-fast and high capacity SDXC and UHS cards. Full High Definition Capabilities: Capture stunning Full 1080P HD video in a variety of frame rates, including a cinematic 24p and 30p. A useful feature inherited from professional Nikon cameras, the Nikon D610 can feed 100% full screen, uncompressed video via HDMI to an external device such as a monitor or digital recorder. Additionally, a stereo microphone and headphones can be connected through thoughtfully placed auxiliary input jacks for capturing and monitoring audio. Share a Stellar Shot Instantly: When using the optional WU-1b Wireless Mobile Adapter1, unbelievable images can be shared directly to a compatible smart mobile device such as a phone or tablet. Users can then share these images with friends and family through their own social networks or photo sharing applications. Robust Construction: The Nikon D610 is sealed and gasketed, with dust and moisture resistance of the same caliber as the Nikon D800. The top and rear covers of the camera are made of magnesium alloy for maximum durability, while the shutter unit is tested to 150,000 cycles. The Nikon D610 is compatible with a wide variety of NIKKOR Lenses, allowing users to truly realize a lens’ potential with an FX-format camera. For eighty years, photographers have come to rely on Nikon’s heritage of optical excellence for lenses that deliver the pinnacle of optical quality. Additionally, the Nikon D610 is fully compatible with Nikon’s Creative Lighting (CLS) System, and can act as a Commander to control up to two groups of Speedlights, in-camera. The Nikon D610 D-SLR will be available in late October 2013 in a variety of configurations. Nikon, At the Heart of the Image™. Nikon Inc. is the world leader in digital imaging, precision optics and photo imaging technology and is globally recognized for setting new standards in product design and performance for its award-winning consumer and professional photographic equipment. Nikon Inc. distributes consumer and professional digital SLR cameras, NIKKOR optics, Speedlights and system accessories; Nikon COOLPIX® compact digital cameras; 35mm film SLR cameras; Nikon software products and Nikon sports and recreational optics as well as the Nikon 1 advanced camera with interchangeable lens system. Nikon Corporation, the parent company of the Nikon Inc., recently celebrated its 80th anniversary of NIKKOR optics, and announced the production of over 80 million NIKKOR lenses in 2013, creating a new milestone in Nikon’s heritage of superior optics. 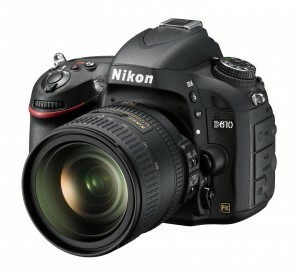 For more information, dial (800) NIKON-US or visit http://www.nikonusa.com, which links all levels of photographers to the Web’s most comprehensive photo learning and sharing communities. Connect with Nikon and other photographers on Facebook at http://www.facebook.com/nikon and get the latest news and information from Twitter by following @NikonUSA. Nikon D760? DON’T DO IT NIKON!!! NIKON D850 Auto Focus ISSUES? ?